On this page I've a list of some of the 50+ websites our professional website design team designed and maintained by Cape Computer Help. Most belong to local businesses here on Cape Cod. In the descriptions to the right you'll get an idea how professional website design experience was engaged to improve the website, and some of the important features of each one. ERT Architects, owned by Erik Tolley is one of my earliest customers. Erik designs modern homes with stunning aspects, lots of open space and light, but maintaining the essential Cape Cod ambiance. He specializes in bringing the outdoors inside, and providing outdoor living spaces too. This website is designed with a theme accentuating the excellent professional quality photographs available from a number of jobs, links into social media, and contains some excellent testimonials. We combined some solid descriptions of the type of architectural designs to help with Search Engine Optimization. 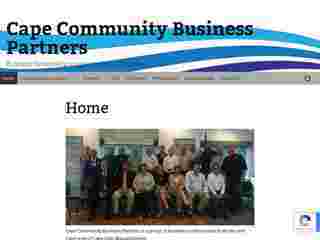 Cape Community Business Partners is my business networking group. I'm proud to be a part of this organization, whose members are local business owners who meet each week on Wednesday morning at 7am at the Hyannis Golf Course on 132. We help each other to build our businesses while giving back to the community by working with a number of local charities. Using a pretty basic theme, the site is designed to include no-frills information on all the members of the group and detail our charitable contributions. Check out the FAQ page for an excellent description of the group. The Property Managers is based in Franklin, MA. 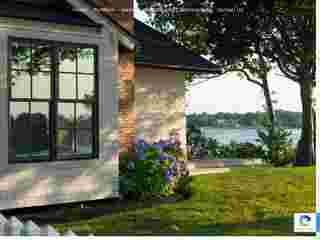 They contracted Cape Computer Help to rework their website and develop a focus on managing property for Condominium Complexes and Home Owner Associations across South Eastern Massachusetts. Their requirements were to make the site mobile friendly, and using appropriate colors and graphics, attractive and modern. After Chris added appropriate text to improve search engine results, the staff were able to edit, and fine tune it for accuracy. Cape Fish and Lobster one of Cape Cod's famous locations. 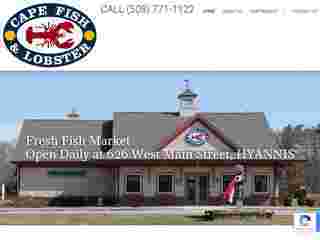 Located on West Main Street, Hyannis, their retail store sells excellent quality fresh fish, seafood, and some prepared food. Steamed Lobster is available on request. Their wholesale delivery operation serves restaurants and bars throughout Cape Cod and South Eastern Massachusetts. The Sow's Ear Antique Company run by Steven and Laurie Hayes has a wonderful selection of antiques, painted furniture, folk art and garden accessories. You'll find them on Route 28 in Cotuit and its well worth stopping in to take a look around. The beautiful old house is an antique too! This website includes a catalog of antiques available at the store. The owner is able to take photos with their smartphone and upload them to the site. 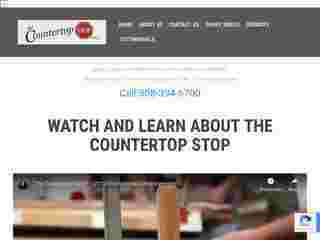 The Countertop Stop supplies kitchen countertops in a range of materials including laminate, granite quartz and corian. They measure, manufacture and install countertops in all sorts of locations, too, including commercial kitchens, offices, retail, and even ships and boats. 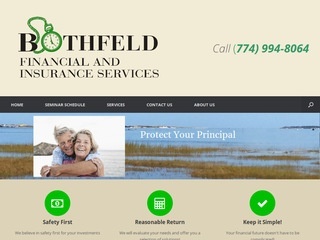 Bob and Ashley Bothfeld offer independent financial advice to working individuals and retirees. Specializing in small business owners and the self-employed, Bob has ready advice on estate management, preparing for retirement and successful investment, with a focus on risk management while maintaining substantial gains. 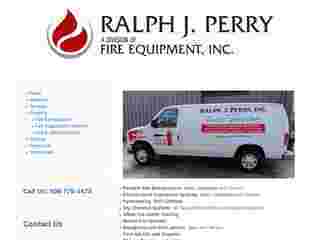 Ralph J Perry, Inc supplies and maintains fire safety equipment throughout Cape Cod and the Islands. This includes fire extinguishers of all kinds, fire suppression systems for kitchens and restaurants. Massage Muscle Therapy. Based in West Yarmouth, MMT Center offers therapeutic massage therapy for acute and chronic pain management, recovery from sports injuries and general well-being. 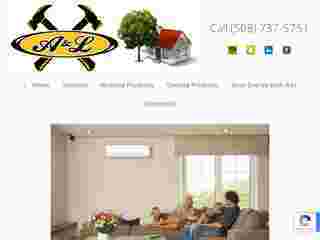 A & L Heating and Cooling supplies and maintains HVAC systems for heating and cooling. They supply residential and commercial clients, and also supply the latest ductless systems providing an energy efficient and low cost alternative to whole house systems. All Cape and Islands Answering Service is a local family business serving businesses on Cape Cod, Martha's Vineyard and Nantucket. From their base in West Yarmouth they answer phones for many businesses including medical doctors and dentists. 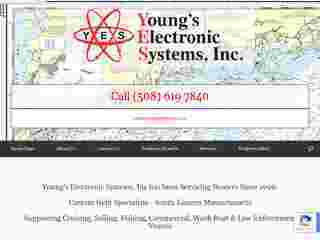 Youngs Electronic Systems is a well-established local Cape Cod business, and Cape Computer Help is very pleased to be able to rework their website in 2015/2016. It was especially important for the owner, Mark Young to have the site work well on a mobile device, and to contain a portfolio of his company's work installing marine electronics. The staff regularly update their pages with special offers and news about trade shows and product developments. 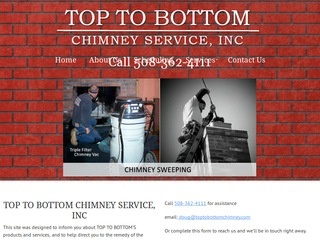 Top To Bottom Chimney Services operates out of Yarmouthport. A family business, Doug and Laura clean and service chimneys all over Cape Cod. With a strong focus on safety, and using available technology, they maintain your chimney to make sure that you can keep your home warm in winter without interruption.